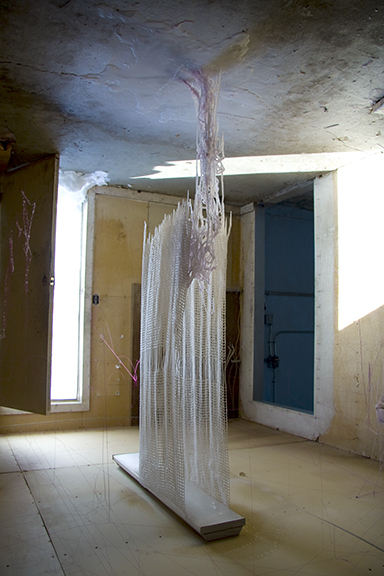 Multiple interpretations and experiments in an abandoned building during the summer of 2008 inspired me to continue the project using water at sub-zero temperatures. Initially, the rational grid was intended to contrast with the seemingly chaotic orgazination of the natural environment. However, a new reading of this work, informed by Bruno Latour's unified view of nature and culture iis altering this new perception. 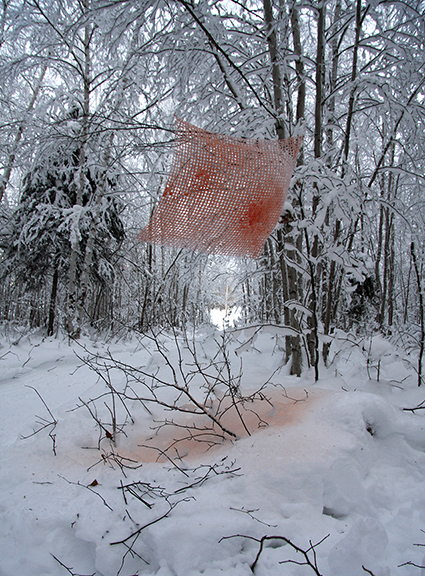 The series began as an exploration of the grid and painting in the outdoors. 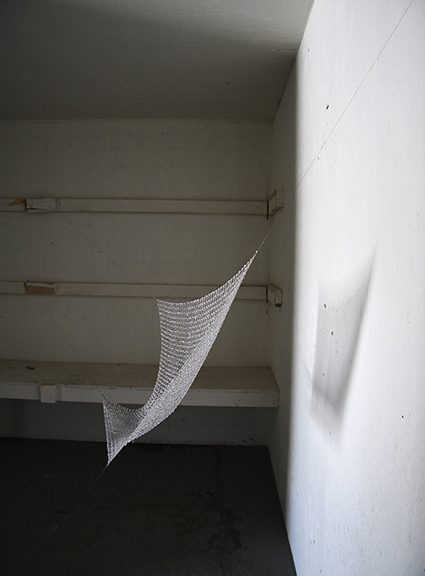 Grids of threads were made rigid by sprayed water in subzero environments. 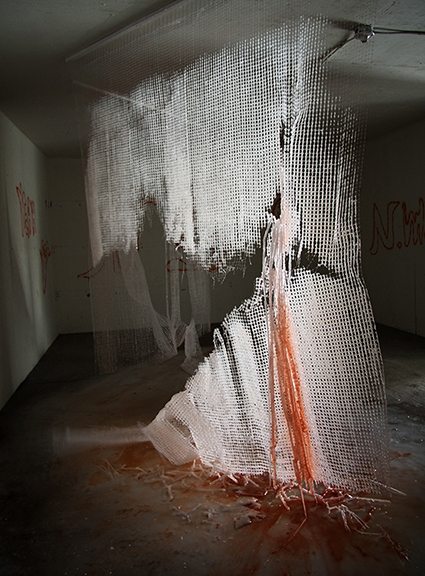 Larger structures (8’ x 8’) were set in abandoned buildings. 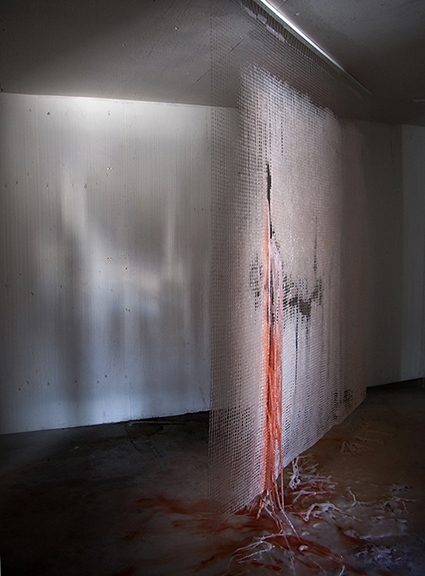 What emerged were dynamic works subject to contingencies such as sublimation, vandalism, and collapse. The themes explored included loss, decay, renewal, cycle, the meaning and purpose of places changing over time, natural order replacing conscious order, and loss or decay as becoming something new.